I have received numerous emails asking for a recommendation for a natural foundation that is both beautiful in its finish and a true pleasure to use. The people who reached out to me have made the decision to add more green skincare and makeup items into their beauty routine, and they are trying to wean themselves from so many chemical-laden products. It really didn't take any time for me to select W3LL PEOPLE Narcissist Foundation Stick– because it it has a gorgeous finish, it is a pleasure to use, it is filled with healthy ingredients and it rivals the quality of any of the high-end stick foundations that I have tried. W3LL PEOPLE Narcissist Foundation Stick in Fair Golden No. 2 is a lightweight foundation that glides across the skin effortlessly, deposits color evenly, and it neither emphasizes pores, nor does it settle into fine lines. It has a luxurious creamy consistency that melts right into the skin leaving behind a satin, soft-focus finish with luminosity. Furthermore, it offers buildable coverage, and can be sheered out for natural sheer coverage, or built up for full coverage. On my normal/combination skin, this foundation lasts a ll day without a primer, but if your skin is particularly oily you might want to use a primer. I was concerned that Fair Golden No.2 would be too warm for my cool-toned skin, but much to my surprise it works well. Ingredients: Oleic Acid* , Ricinus Communis (Castor) Seed Oil*, Carthamus Tinctorius (Safflower) Seed Oil*, Copernicia Cerifera (Carnauba) Wax,* Beeswax*, Linoleic Acid*, Castor Isostearate Beeswax Succinate, Mica, Palmitic Acid*, Stearic Acid*, Water, Linolenic Acid*, Arginine/Lysine Polypeptide, Glycine Soja (Soybean) Oil, Tocopherol, Aloe Barbadensis Leaf*, Camellia Sinensis Leaf Extract*, Pearl Powder, Caprylic/Capric Triglyceride, Sorbic Acid, Alaria Esculenta Extract (+/- Titanium Dioxide (CI77891), Iron Oxides (CI 77492, CI 77491, CI 77499)) *Certified Organic Ingredients. No Parabens, No Phenoxyethanol, No Propylene/Butylene Glycol, No Coal Tar, No Phthalates, No Sulfates, No Fragrances, No Synthetic Dyes, No Silcones, Non GMO, No Dimethicone, No Polythylene Glycol, No Petroleum, No DEA/TEA/MEA, No Diazolidinyl Urea, No Oxybenzone, No Lead Compounds, No Nanoparticles, No Formaldehyde, No Talc, No Busmuth Oxychloride. 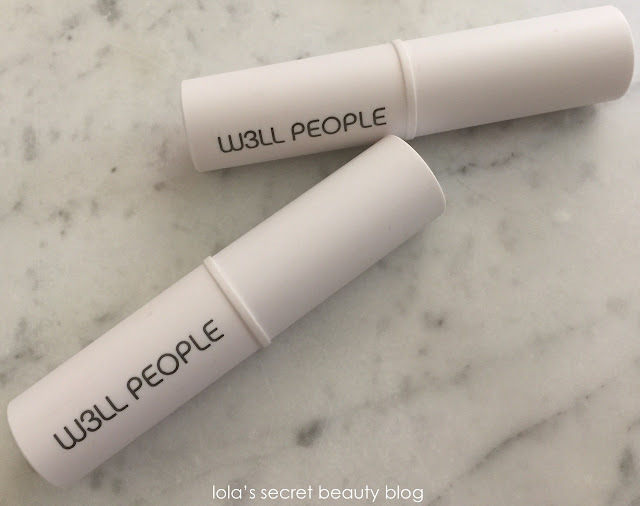 W3LL PEOPLE is a Cruelty-Free company. 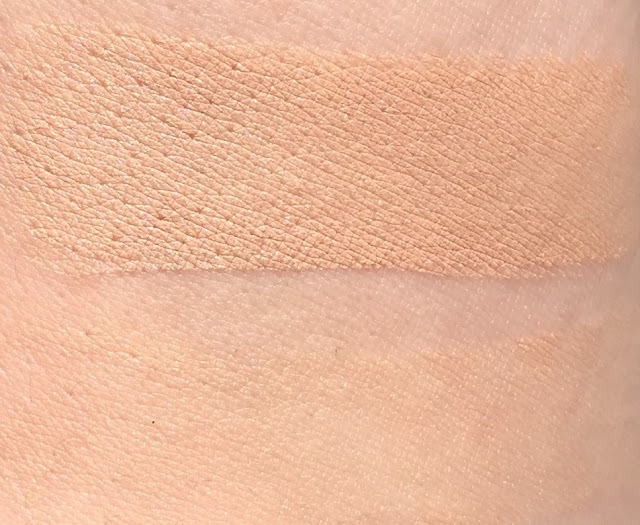 Top to Bottom: Top swatch is two passes, and the bottom swatch is a single pass with a light hand. $28.99 for .375 oz. from W3LL PEOPLE, Target, Birchbox, Amazon, Cult Beauty (£24.00), Anthropologie, Follain, Credo Beauty and The Detox Market (Affiliate Links). This definitely sounds like a nice foundation to try! It is a very nice foundation! I've wondered about this line. We don't really see much of it online so it's great to learn that their foundation stick is so nice. 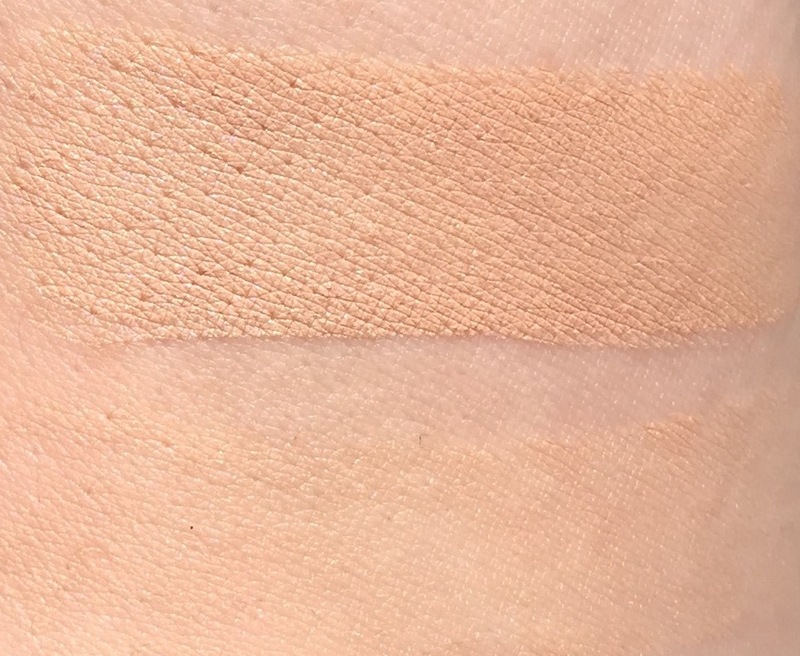 Their foundation stick is really worth trying, and it is such a nice, healthy alternative to my covet TF Foundation Stick! They definitely don't get enough mainstream love, and they are absolutely deserving of it! I am wondering if No. 0 Pale Ivory would be a good match for you. It is worth checking out! Oh that looks very nice! I love how smooth it looks! It is smooth and creamy with a beautiful finish! It is definitely a fantastic formula well-worth trying!